Get ready for the best low buy in tournament in Europe! November 2nd sees the Battle of Malta begin. 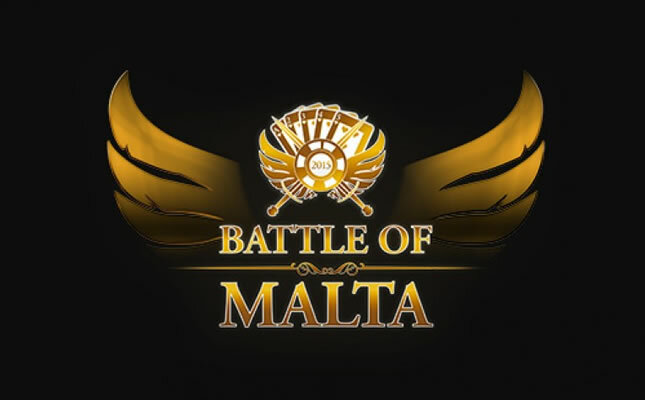 Hands down, any poker enthusiast and pro would say that the Battle Of Malta (BOM) is the best standalone event in Europe. Not only does it bring poker players from all over the globe, but it is taking place on island of Malta, a real gem in the mediterranean. Even registered players that go out of the tournament early will enjoy the fantastic climate and its rich historical culture. Online poker players love to qualify for this event! Every poker operator of note will be represented with their respective teams of poker pros when the battle kicks off in a month’s time at the Portomaso Casino in St. Julians on the 2nd november climaxing with the final table of the main event on the 7th november 2016. It is a tournament that poker players really look forward to. The low buy in and the 500.000 EUR guaranteed prize pool is just part of the attraction. Online poker for real money sites such as Guts.com Poker will be holding poker satellites that allow some of their players to qualify for the event and will be following their poker pro’s closely whilst Malta transforms into a poker party festival. Hosted again by female poker pro Maria Ho, poker player and television personality we may only wait and see if the record breaking 2015 event with over 1800 registered players can bettered this year. The 550 EUR Buy In allows amateurs to chance their hand as well as creating a great backdrop to the names of the established pro who pop up when you least expect to see them. BOM is a staple in many a pro’s diary. Pokerlistings are hosting this marvellous tournament and there is no end to fun and relaxation. Attending players will have a buffet dinner every day they play and be treated to not one, not two, not three, but 4 exclusive VIP parties. The BOM parties have become quite legendary over the last 5 years. Voted best Poker Event last year at the PokerAwards, The Battle of Malta is quite the event on the small island of Malta. Malta is summer, sun and sea. The island has always been at the centre of various historical events due to its strategic location. “All” have been here and left their mark over the years and created a diverse community rich in architecture, language, food and people. Surrounded by the Mediterranean at its clearest and bluest mixed with sand coloured buildings built in the Baroque style. The capital city of Valletta is a favorite photo subject. Built after the great siege of Malta in 1565 to prevent the Ottoman Empire trying to conquer Malta again. The steep limestone walls plunge into the sea, creating a dramatic contrast. Malta is small, barren and sparse yet beautiful. This authour might be a little biased, as she lives in Malta, however she has a feeling that this year’s Battle of Malta (BOM) may be the best one yet!